In this article, I present the story of David Leary Pritchard—a man whose life served as a perfect cross-section of early 19th century South Mills (Camden County, NC)—as an example of how one can learn more about ancestors of color through their white neighbors (who were sometimes relatives). David Leary (frequently spelled Lurry) Pritchard was born on February 13, 1807—the youngest child of Joseph Pritchard (b. 1756-1774) and Chloe ____ (b. 1756-1774, evidence suggests that Chloe was a Leary/Lurry). David was preceded by two siblings, Joseph Pritchard (b. 1790) and Elizabeth (Betsey) Pritchard (b. 1805) (based on the time between births, it is possible that Joseph was born of a previous marriage). In the 1800 Federal Census, Joseph Pritchard’s household contained 1 male over 45, 1 male 26-44, 1 female 26-44, 1 female under 10 and 11 slaves. Joseph was not recorded in future censuses because he died on January 27, 1809 when David was just under 2 years old. Camden County will books prior to 1822 did not survive so it is unclear if Joseph died intestate but he was recorded in Camden County deed books numerous times. Newton Edney and Gideon Lamb were named as the administrators of his estate. David’s grandfather, David Pritchard, Sr., did not die until 1812; so, David Pritchard, Jr. likely knew his grandfather better than his father. On November 17, 1812, David Pritchard, Sr.’s land was divided between his legal heirs—the heirs of Joseph Pritchard (namely Joseph, Elizabeth, and David), Keziah Pritchard, Sally Pritchard, and Mary (Polly) Pritchard. In the absence of a will, this is an invaluable account of Pritchard family property. There are a number of implicit pieces of information in this record that are important to note. All of David Pritchard’s daughters were still Pritchards at the time of the land division which suggests that they were not married yet. Also, David Pritchard had two plantations—one 301 acre manor plantation and one 147 acre plantation (originally purchased from Joseph McPherson). Chloe, David’s mother, married Miles Cartwright on June 3, 1819 when David was 10 years old. In the 1820 Federal Census, Miles was recorded with a household of 14—4 adults, 5 children and 5 slaves. That same year, on August 3, 1820, Wilson Lurry (who may have been Chloe’s brother) was named as guardian of Betsey, Joseph, and David (orphans of Joseph Pritchard) in a bill of sale in which Miles Cartwright bought 4 slaves (Mourning, Juda, Jim, and Jack) that were owned by the Pritchard children (Deed Book Q, Page 348). After only 6 years of marriage to Chloe, Miles Cartwright was killed by lightning on August 2, 1825. Camden County Deed Book S, Pages 300-301, Division of the Land of Miles Cartwright (Deceased), March 17, 1826. Cartwright’s heirs were: the heirs of Rhoda Jones (deceased), Job Spencer (in right of his wife Ellis), Peter Ferebee (in right of his unnamed wife), Nancy Cartwright, and Jane Davis. Adjoining landowners named in the land division were Willoughby Sammons, Nehemiah Riggs, and Hollowel Old. Some time later Chloe married a Williams (which was the surname she ultimately died with). On October 10, 1826, David’s aunt, Keziah (Pritchard) Sanborn died leaving her husband, Phineas Sanborn, and her two children, John Stevens Sanborn and Eliza Sanborn Conner, as heirs. On July 3, 1828, David sold 50 acres of swamp land to Phineas Sanborn at the head of Joys Creek in the Great Dismal Swamp (this was likely 47 acres of swamp land David inherited from his grandfather which was bordering the swamp land inherited by his aunt Keziah). Phineas Sanborn was the “Dr. Sanburn” noted on the 1830 Federal Census Map made by W.W. Forehand. Both the Pritchards and the Sanborns lived on the Camden/Currituck County line. In the 1840 Federal Census, David was recorded with a household of 3—1 male 30-39, 1 male 15-19, and 1 male 10-14. His closest neighbors were Frederick Sawyer, William Bass, Eliza McCoy, and Joel Sawyer. William Bass (b. 1812) was recorded (as white) with a household of 3—where his presumed wife Lydia Bass (b. 1820) and daughter Nancy Bass (b. 1840) were also living. This close sequence (along with a number of other circumstantial clues) suggests that William and Lydia may have been living and working on D. L. Pritchard’s Farm at this time. 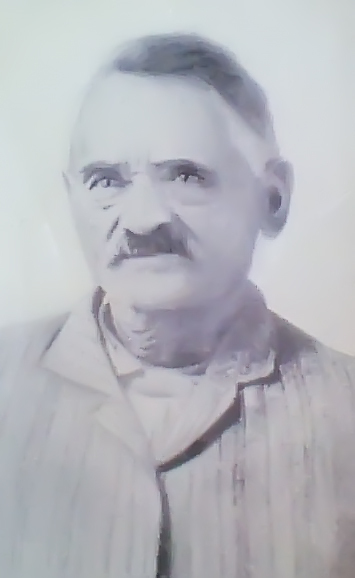 Phineas Sanborn (David’s uncle through marriage) died in January 1840 while living in Yalobusha, MS. His son, John, was either living with him before death or moved to his property shortly after his death because later deeds recorded him as a resident of Yalobusha, MS. In 1841, his daughter Eliza was living in Chester County, PA with her husband (and first cousin), Phineas Sanborn Conner. Per their father’s will, John gave Eliza a life estate for their father’s property in Camden, NC. This estate was comprised of Sanborn’s acquired land and Keziah’s inherited land and it was bordered by David Pritchard, Jr., Timothy C. Chamberlain, Jesse McCoy, Timothy C. Smith, Enoch D. Ferebee, Benjamin Jones, and Dozier Perkins (Deed Book X, Page 252). Given that Keziah’s estate was bordered by her sisters’ inherited land, these borders provide important clues about who Sally Pritchard and Mary (Polly) Pritchard may have married. Phineas Sanborn Conner, the husband of David’s first cousin Eliza, was the founder of the Connor Farm. In addition to being a planter, P. S. Conner was a partner of D. L. Pritchard’s in the timber and shingle business. Shortly before or in 1842, David married his first wife Sarah Elizabeth Lamb (b. 1818, the daughter of Abner Lamb—the brother of Gideon Lamb who administered his father’s estate—and Dinah McPherson). They had a daughter, Mary Elizabeth, in 1842 who went on to become David’s sole surviving descendant. After Mary Elizabeth, David and Sarah had two other children, Joseph and Sarah Ann, who passed away in infancy. In 1847, both David and Sarah Elizabeth suffered the loss of a parent with Chloe Williams’ death on January 14, 1847 and Abner Lamb’s death on August 27, 1847. In his will, which proved on September 10, 1847, Abner Lamb left Sarah Elizabeth “the land called the Lydia Sawyer tract” adjoining John Trafton and others. He also left her slaves Sally, Isaac, Ellick (nickname for Elliott), Marshall, Romulus, and Ellen. The slaves were kept as part of the Pritchard estate. Shortly after these two family deaths, on October 13, 1847, John S. Sanborn (of Yalobusha, MS) gave his sister Eliza S. Conner a life state of 1700 acres from their father (Phineas Sanborn). The land border description was the same as the one made before with the primary difference being the addition of land bordering Cox and Corprew’s line and John Cox’s line (Deed Book Y, Page 365). Five days later, on October 18, 1847, David Pritchard bought 100 acres from William Culpepper for $400 on the south side of Joy’s Creek bordering Fanny Edney, Enoch D. Ferebee, and Samuel Edney (which was originally owned by John Edney, see image below). A month and a half later, on December 2, 1847, David sold this exact tract of land to Lydia Bass. Camden County Deed Book S, Pages 351-353, Division of the Land of John Edney (Deceased), October 1826. Edney’s heirs were: Chloe Edney, Newton Edney, Sarah (wife of John Old), Charlotte (wife of Nathan Wilkins), Mary Edney, Samuel Edney, and John W. Edney. What was the reason for this land purchase? Where was Lydia Bass (b. 1797) living prior to buying this land? What was Lydia’s relationship to the Pritchard family and was her daughter (?) Lydia Bass (b. 1820) also living on the Pritchard Farm? In 1848, David and Sarah Elizabeth had another son, John, who passed away in infancy with Sarah dying shortly after his birth the same year. By the 1850 census, David was 43 years old, widowed, and living with his 8 year old daughter Mary Elizabeth (with Wilson Culpepper, 25 years old, possibly working on the farm). He had $6,000 in real estate and 21 slaves according to the 1850 Slave Schedule for Camden County, NC (which included 6 from his deceased wife’s father’s, Abner Lamb, estate). David married his second wife, Margaret Frances Old (b. 1831, daughter of William Old and Maria ____) in 1853. They had one daughter, Mary Frances, born on December 8, 1854. Margaret died two weeks after giving birth and the baby died in 1855 at the age of 4 months. This left David widowed again and by the 1860 census he was living with Margaret Pritchard (21 years old) and Joseph G. Hughes (30 years old) with $25,000 in real estate and 29 slaves according to the 1860 Slave Schedule for Camden County, NC. The Battle of South Mills happened on April 19, 1862 and a map of the engagement shows what David Pritchard and all of his relatives and neighbors would have seen happening in their community. Life became tumultuous in South Mills during the Civil War. With the Dismal Swamp Canal as a strategic target and the Pritchard family living in very close proximity to the canal, they were at the focal point of local battle. 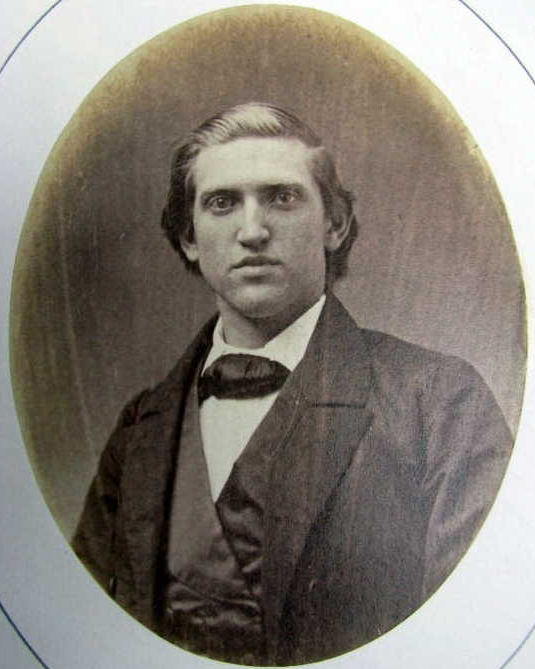 David’s nephew, David Thomas Pritchard, was a private in the Confederate Army and John Sanborn Conner, the son of David’s first cousin Eliza and P. S. Conner (who had relocated to Hamilton County, OH by this time), returned to the family’s homestead to protect the property during battle. Many of the Basses, despite being free, fled Camden County, NC during this time to move to northern states. This was a reflection of the extreme social tension that free people of color experienced in the area and family dynamics (for free people of color who had blended families with slaves). In 1863, David testified before the Justice of the Peace that 29 of his slaves (valued at $23,700) ran off in the night and went “to the enemy” to Norfolk, VA. He stated that he was entitled to the benefits of the August 30, 1861 Act of the Provisional Congress and included the names, ages, and estimated values of each of his slaves in his file. Slave names that match those Abner Lamb (David’s father-in-law) left to his daughter, Sarah Elizabeth Lamb, in his will are marked with an asterisk. The filing, which was witnessed by J.B. Boushall and Frederick Sawyer, is an invaluable record for the families of these slaves. Considering the date, the Civil War was nearing its end and this was likely the last document to link these individuals to a slave owner. By the 1870 Federal Census, David was 62 years old and recorded with William Sawyer (22 years old) and Joseph Ralf (17 years old) living on his property. He had $12,000 in real estate and $1,200 in personal estate at this time. David remained a recognizable figure in the community for building mills and he was also elected as the county surveyor. In the 1880 Federal Census, David was 74 years old, living alone, and noted as a farmer. In his 1888 will, he left everything to his daughter, Mary Elizabeth Hughes, and nephew, David Thomas Pritchard (and heirs). An obituary posted in the Recorder by R. R. Overby said that David died of cancer at the age of 79. Overby described him as a Christian man (who became active in the church about 25 years earlier), who was modest in nature and of good character. As a descendant of people whose lives were closely interconnected with that of David Leary Pritchard and his family, I can say that this research (which is still in progress) has added a new dimension to my understanding of my ancestors. The Basses were free but they were not as well documented as some of the wealthier families in the area. The story of the Pritchards is the story of their closest neighbors who became family (through at least one relationship). As I continue to develop the history of David Leary Pritchard, the Pritchard and Conner Farms, and the Joys Creek community, I hope remaining hidden relationships will emerge.